Appearance: Tan, black and white fur, amber eyes, usually covered in a layer of filth. 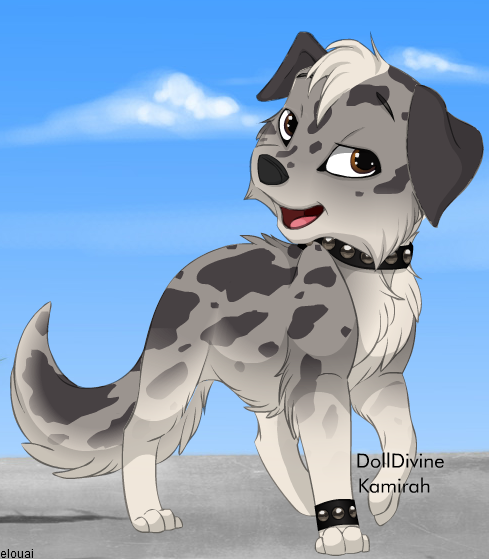 Role Playing Sample: Kodi walked slowly along the street, sniffing at things as she passed them. It was cold - she could feel the chill even through her long, shaggy fur, matted with mud and dirt. The people that passed her didn't pay her any attention except for a disgusted glare. Some of them even crossed clear to the other side of the road to avoid her. Ignoring them completely, Kodi turned into the alley where she 'lived' and curled up behind some smelly bins. It wasn't the best accommodation in the world, it was true. But having somewhere was better than having nowhere. At least no one was likely to disturb her here. 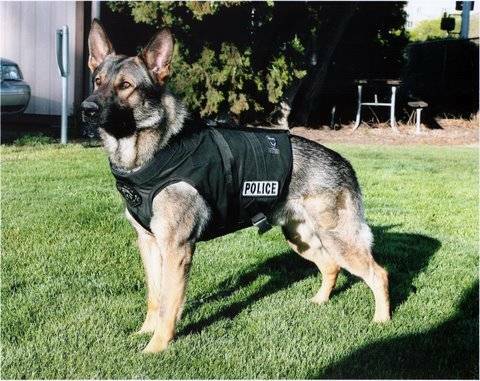 Role Playing Sample: Rebel trotted along cheerfully at his trainer's side as they wandered down the path away from the station. His trainer opened the back door of the car for him and he hopped in onto the back seat, where he sprawled out like he owned the place as the human got in the front. "Where are we going?" He asked the man as they started driving, but as always the other didn't answer him. He didn't know why he bothered trying to talk to the humans anymore. They were far too simple and stupid to understand his superiority. 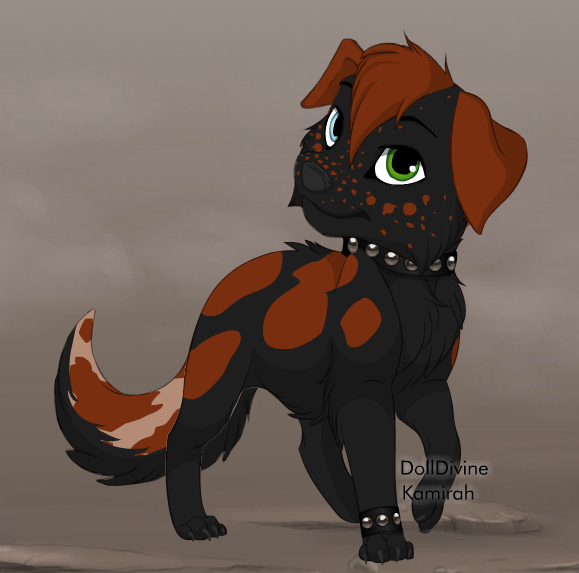 Appearance: Black with redish brown markings and freckles. One eye is blue, the other is green. Personality: Rebellious and arrogant, jumps straight into things without thinking about the consequences on himself and others. The only creatures he's honest with are his parents, he's likely to be lying to anyone else. 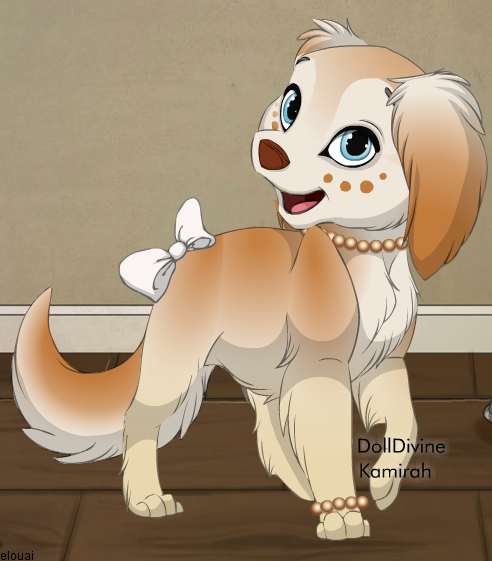 Role Playing Sample: Freckles jumped on top of the trash can and looked around eagerly. It wouldn't be long now. Soon his parents would be back, and they would let him go out for a little while. He noticed a rat at the end of the alleyway where they had left him while they looked for food and pounced at it. It let out a squeak and ran off and he let out a triumphant bark. Just throwing this out there, the red thing, is not...real. Try to make it a red-brown color, like russet. Right, sorry. I've changed it now, thankyou.